How Do You Conduct a Performance Review In Person? What Is the Future of Performance Reviews? Performance appraisals consist of regular reviews of employee performance and are an important component of career development and performance management overall. The cadence of reviews can vary from department to department and company to company. They also look different from organization to organization because roles and goals vary, and should be customized to meet the culture and business targets. Despite the fact that performance reviews are key to moving ahead in a company or getting a raise, they are relatively unpopular: According to a Taleo survey, 78 percent of U.S. workers want to change some aspect of the performance review process. In response, many companies are changing the ‘traditional’ performance review format. But before we look at how to conduct interviews, let’s take a look at the origins of the practice. Evaluating the Ranks: The roots of performance appraisals are in the U.S. military. During World War I, merit ratings were used to pinpoint inadequate performers for discharge or transfer by assigning numerical ratings to individual soldiers. In World War II, the U.S. Army began applying forced rankings to identify officer potential from the ranks of enlisted men. Inspired by the approach, Jack Welch, CEO of General Electric, used the ‘Rank and Yank’ or the ‘vitality curve’ which encouraged firing and replacing poor performers. Many other companies followed suit. By the 1960s, approximately 90 percent of companies used merit ranking. Numerical scores persist at some organizations today, even though research has found that there tends to be an underlying unconscious bias in scoring. Theory X and Theory Y: Created and developed by Douglas McGregor of MIT’s Sloan School of Management during the 1960s, these two theories offer deeply contrasting models of workforce motivation which also form the basis for two different managerial styles. Theory X assumes that people dislike work and must be heavily managed to work in alignment with organizational goals. Theory Y emphasizes the average person’s innate interest in her or his work, desire for accountability and self-direction, and creative approach to business challenges. McGregor concluded that the latter reflects most workers characteristics and is the more desirable way to manage. Many forward-thinking or technology companies like Apple and Google run their companies using Theory Y. Employee Development and Performance Management: During the 1960s, companies began paying more attention to employees’ professional development because talent was in shorter supply (as it is now in certain technical and managerial jobs). 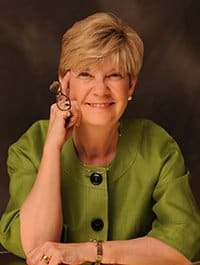 In the late 1970s, Aubrey Daniels coined the term performance management to manage both behavior and results, and improve job satisfaction and productivity. In the 1980s, management by objectives (MBO) became a trend. Managers and employees worked together to set measurable goals with a definite timeline. In the 1990s, a shortage of capable executives created an emphasis on assessment and rewards for performance. In the 2000s, organizations flattened and the number of direct reports to managers increased, which made employee assessment and development more difficult. In the later 2000s, performance management went online using automation, software, and applications. The type of management style being used and the type of worker being appraised set the direction for what kind of performance review to use. Objective Production: This type of performance review looks at measures like the electronic performance monitoring of data entry workers, production numbers, or sales figures. The measures for performance appraisals depend on the position and related duties. While measures reflect unambiguous criteria, the information isn’t a complete reflection of job performance and managers often look at objective production along with other factors. Personnel: The personnel method records absences from work. Most companies find unexcused absences unacceptable, although the quantity of an employee’s absences may not necessarily be a reflection of insufficient job dedication. In blue-collar jobs in particular, accidents can sometimes be an indicator of inadequate job performance, but this is also subject to the situational factors that may contribute to those accidents. Personnel data is not a complete picture of an employee’s performance. Judgemental Evaluation: This option is useful for evaluating positions without tangible metrics, such as creative jobs that require a subjective methodology. This type of evaluation should use multiple measurable objectives that can include teamwork, dedication, attitude, meeting deadlines, and creative approaches to problems. These types of metrics make it easier for an employee to understand what they have done well and what areas need improvement. The manager should use as many attributes as they can and be clear about what types of improvements are necessary. Dimensions examined in peer and 360-degree reviews usually focus on teamwork and leadership, and are sometimes linked to the individual's self-assessment. The advantage is that each reviewer is likely to be able to observe different facets of the employee's job achievement. In high-autonomy positions, managers may may not have many opportunities to see the employee work, while colleagues and customers see the process and result of work assignments. The amount of 360-degree data can create challenges because different groups of reviewers (or raters, if numbers are used as part of the assessment) have different perspectives on both the role and performance. In a 2008 study, researchers found that when evaluating others' performance, peers tended to place more value on corporate citizenship behavior than on task performance. Despite any problems or bias, having another view into employee performance can help create a fuller picture of what is working and what needs to change to benefit the individual and the company. Self Assessments: Employee self-assessment or self appraisals ask the employee to review her or his own job performance. Usually a manager asks the employee to independently complete a self-evaluation that they will use as a mutual basis for evaluation during a quarterly, semi-annual, or yearly performance review meeting. At an in-person meeting, the manager and employee discuss the written self-assessment, and mediate final evaluations based on both the employee and manager perceptions. 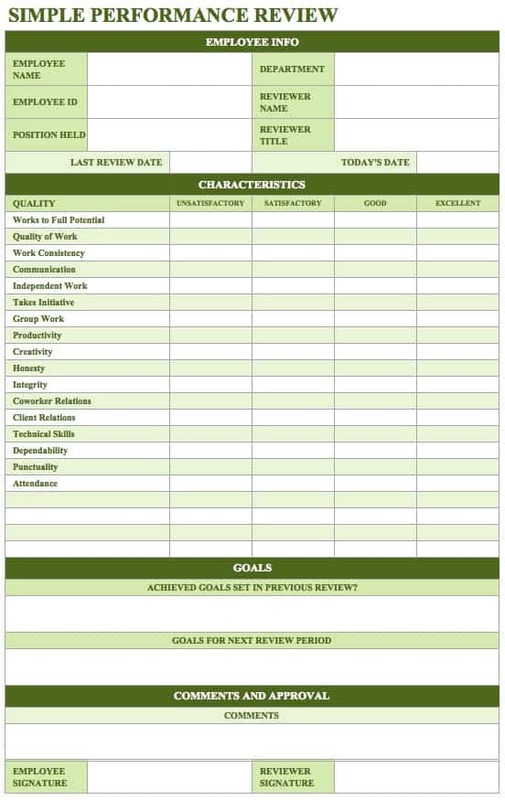 Self-evaluations can be used to assess predetermined performance standards, goals, and objectives, and use the same rating the manager uses. Collins isn’t a fan of self assessments. “Research tells us that it has never been effective. Some people always overstate to manipulate for bonuses; overachievers tend to under-report. It is a good touchpoint to help people think through their own challenges, their own personal goals, where they want to go in their career. Managers can help by asking, How can I help you think through how to get to your goal? When having employees self-assess, the manager shouldn’t tell them about their career path. 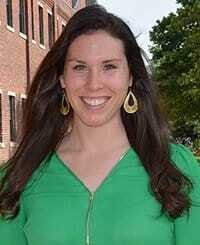 Everyone wants to control their own work life, career and performance perspective,” explains Collins. Over the past 70 years, there has been extensive research into whether happy workers are more productive workers — also known as the happy-worker hypothesis. Research conducted in 2008, The Happy-Productive Worker Thesis Revisited, found that happiness (or positive affect) does indeed affect productivity. What makes workers happy is a confluence of different factors, but for many it’s a feeling of being appreciated, supported, and connected to their workplace and the people in it. Facilitate Two-way Communication and Trust-building: You want to foster easy-flowing, mutual communication. Enhance Employee Focus: It may sound simple, but people want to know that they are appreciated. Support Goal Setting: Most employees have professional goals that they want to achieve. Managers can help clarify, support, and facilitate their employee’s realization of those goals. Support Performance Improvement: Noting areas that could be improved and being clear about how that can happen can move employee performance in a positive direction. Help Determine Training and Development Needs: If an employee needs additional technical or other types of training, use the performance review to discuss options that are available during or after working hours. Provide Compensation: Some companies award base pay and merit raises based on performance reviews, although linking them has fallen out of favor. Offer Promotions: If an employee is proven to be working toward company goals and performing well, they may get a promotion. Provide Validation: Demonstrate how well a company’s employee selection system predicts future job performance. Essentially, the stronger the relationship between assessment and performance, the more likely the selection system predicts productive employees. Legally Terminate Employee: Terminating employees for unsatisfactory job performance is difficult, but it is legal so long as companies take mandated precautionary measures, including meticulous record keeping. Work performance that is unsatisfactory includes a variety of actions, such as being unable or unwilling to learn new skills or tasks, an inability to work collaboratively, unwillingness to work to established goals, poor judgement, inability to complete work assignments, and sexual or other types of harassment. De-Motivating: If reviews overwhelmingly focus on what what needs to be fixed rather than what has been done well, employees can leave their review in a negative frame of mind that affects future performance. Accentuating the positive is a much better pathway to positive employee performance and relationships. Inaccurate or Subjective: Do your legwork before the review and check your notes, self-assessments, peer reviews, and previous reviews to make sure you have a complete picture before you meet your employee. Keep an open dialogue during and after the review to get an accurate picture of performance and behavior. Fear Generating: Negative, hostile, uninformed, too brief, and one-way reviews can be gut wrenchers for managers and employees alike. Being prepared, positive, and mentoring can make all the difference. Tying performance reviews too closely to compensation can also create anxiety and lack of honesty for employees. Detrimental to Quality Improvement: If performance quality is the goal, then performance review quality should also be a standard. As our experts mention, employees need to understand expectations, how they are being judged, and the purpose of the review. Make quality the goal in all of your employee interactions — and ask for performance review management training if it isn’t provided. Generate Legal Issues: Know the federal and state laws that govern performance appraisal. Managers should be trained in interpersonal dynamics, appropriate word choice, and the legal issues that impact the review process, including intentional and unintentional discrimination. Keep detailed records of all interactions, have a transparent system, and hold frequent process audits to keep legal problems at bay. 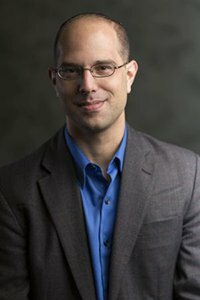 Derail Merit or Performance Based Pay: Some researchers contend that the deficit in merit- and performance-based pay is linked to the fundamental problems in performance assessment systems, either by rating all employees at the high end of the scale, or allowing personal bias to skew reviews and resulting pay — or lack of it. Unrealistic Performance Goals: Setting goals that are overly challenging or overemphasized may affect ethics, legal requirements, or quality. Performance goals can interfere with the individual’s ability to acquire needed skills and knowledge. Therefore, it can be more beneficial to focus on outcomes, especially in the early stages of training. Union Opposition: Labor unions represent 11 percent of all workers in the U.S., and often require seniority as the principal promotion criteria. However, length of job experience isn’t always a reliable indicator of performance or promotability. Performance appraisals may provide a basis for assessment of employee merit as a component of these decisions. 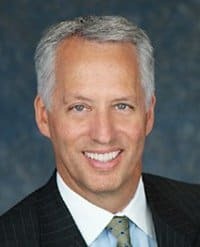 Poor Appraisal Program Design and Leery Managers: Once burned, managers who’ve had negative experiences with poorly designed or inadequate company appraisal approaches may become skeptical about their benefits. Some issues are emotional: Managers may simply not like judging and having responsibility for their subordinate’s futures, or they may be uncomfortable with writing or delivering negative feedback in person. Without training, these emotional hurdles can lead managers to inflate employee’s job performance rather than confronting the issues that need to be resolved. Behavioral and management psychologist Jaffa says the first and most important step is having senior leadership that drives more effective performance management strategies. Then, the human resources department needs to reinforce standards and communications, and provide training to emphasize more consistent, ongoing feedback and a willingness to let go of the annual performance review model. 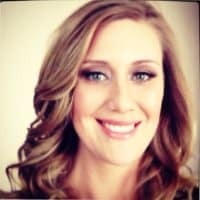 “No one is born knowing how to do reviews, and it shouldn’t be taken for granted that just because you’re a manager, you know best practices or the most effective ways to communicate with subordinates,” adds Jaffa. Performance reviews should be oriented toward strengths and positive positioning, transparency throughout the organization about the process and purpose of reviews. 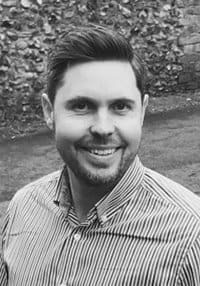 “Most importantly, every interaction, including reviews, should fuel performance that benefits the employee and the organization,” Jaffa emphasizes. 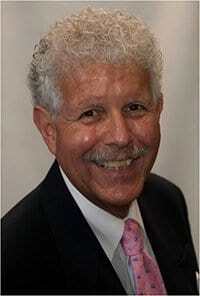 Dr. Orin Davis is Principal Investigator of the Quality of Life Laboratory and Startup Advisor to early-stage companies. 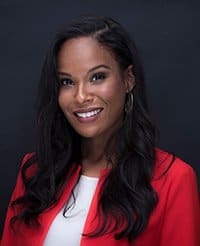 Dr. Davis also serves as a Science Advisor to Happify and Happy Brain Science and is an adjunct professor of business, psychology, entrepreneurship, and creativity. Davis suggests that managers need to help employees prepare for assessments. Colleagues’ feedback can add additional perspective for performance reviews. If your organization adds 360-degree feedback as part of your performance management mix, this easy-to-edit template can include the competencies you and your organization have deemed relevant for the role being assessed. Using a numbered scale can provide an at-a-glance view of performance. How was the deliverable supposed to look? How is your deliverable even better than it was supposed to be? How else could the deliverable have been better than it was supposed to be? Are there any ways in which the deliverable may have fallen short of expectations? 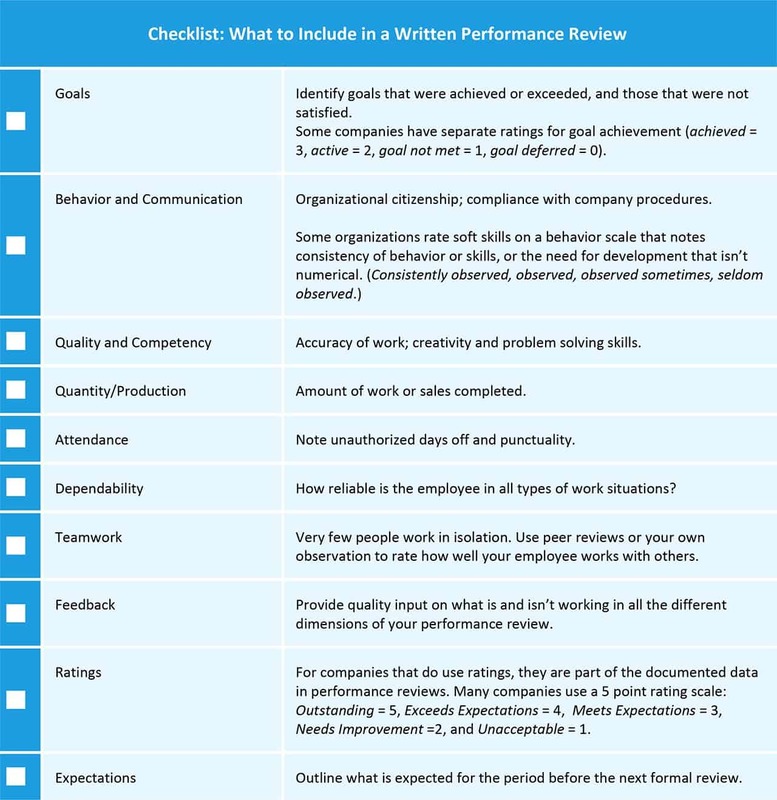 Providing your employees with an easy-to-use form is a great first step in a meaningful performance appraisal. A self-evaluation provides a point for introspection on job performance and a basis for honest discussion. It also serves as a good reminder of past achievements, and can help ensure that future goals that are in alignment with company targets and overall career plans. 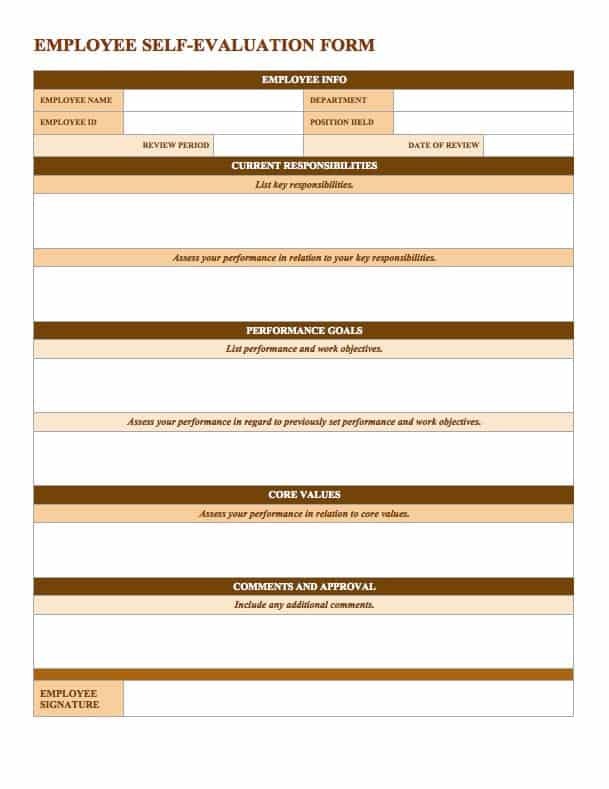 This self-evaluation form is customizable, easy to use, and can help you identify responsibilities, assess performance, and plan performance objectives. Take Responsibility: If you did a terrible job with something, say it. If you are procrastinating on a project, say it. Your supervisor can only help you and mentor you on the things that you share as issues. A performance review is an opportunity to form a growth and development plan and not just a look in the rear view mirror. Use Data: Back up your statements with data and examples. Focus on the time period of the review and keep examples relevant. Cover Progress: It is okay to talk about improvements and employees should, but they should also remember to relate it to current expectations, and recognize if they still have work to do. If you want to offer more performance review advice to your employees, suggest they read “Prepare for Success: How to Write a Stellar Performance Review Self-Assessment.” The article provides guidelines, templates, expert information, and tips so you and your team can make the most of written and in-person reviews. Criticism and Coaching: Asking questions is the best way to open the dialogue. Ask your employee how they think they’re doing. Encourage discussion about the written review and have conversations in between reviews about issues that may arise in the moment to avoid a ‘feedback firehose’ during a once- or twice-a-year appraisal. When necessary, provide honest constructive criticism in the most positive terms possible. Take care to outline behaviors that may need to shift and don’t focus on personality traits, since behavior can change but personalities rarely do. Avoid the halo/horns effect: the cognitive bias where a person’s impression of another individual can influence feelings and thoughts about that person. For example, the effect is when a highly rated employee in one area tends to receive high ratings in all areas (even if that’s not the case). The opposite is also true. You can avoid that trap by being diligent about keeping notes throughout the year and considering peer evaluations. Career Development: Effective performance appraisals include an employee’s career aspirations. Employees should be involved in their own goal setting and at the review, the manager should discuss progress toward professional goals and matching career paths within the organization. Following Up: Recap performance reviews with regular information and feedback. Many companies use apps to more easily connect with employees, encourage dialogue, and make recaps available for review. Other things to watch out for are talking about an employee’s attitude, which can make people defensive. Managers should also sidestep inflating employee performance in verbal or written assessments. If performance is underpar, that should be noted — you could be setting yourself up for legal issues down the road if an employee is fired for poor performance that hasn’t been acknowledged and recorded. Most of our experts recommended using templates to standardize, track, and share performance review information and data. Templates should be specific to your company’s needs and culture. 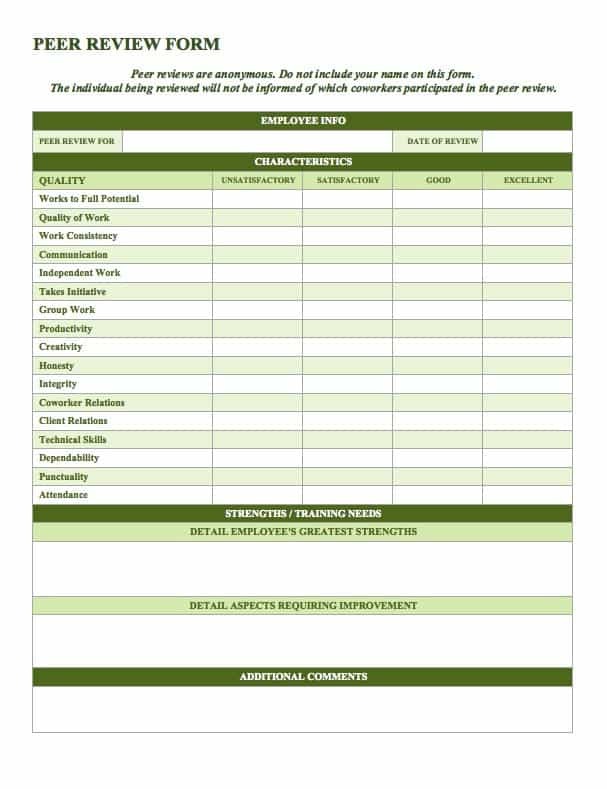 This snapshot-style performance review template keeps things simple: a rating system from poor to excellent that you use to assess an employee’s skills and qualities that don’t require detailed written feedback. While not a deep dive, this document can help guide productive conversations between you and your employee. There’s a section for additional notes and comments where you can include significant accomplishments or future goals. Set employee objectives, track progress, and collect feedback for upcoming performance reviews with this customizable template. You’ll find an outline of topics for evaluation, best practice guidelines, instructions for each element in the process, and sample information. Coordinate all the moving parts of the review process with this straightforward checklist. You can adjust permission levels and share the checklist with appropriate managers or HR professionals. View the revision history of any cell, and request updated performance evaluations from peers, employees, and managers and track each item to completion. Armstrong adds that reviews are an opportunity to have an honest conversation (not a lecture by the manager), to look ahead to the next time period, and to reinforce alignment between individual and company goals. 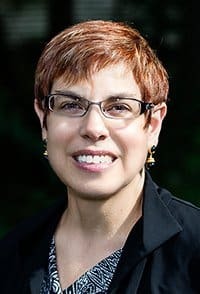 One final action she warns against: “Directly connecting pay raise with appraisals and ratings.” Tying performance reviews to compensation undermines collegiality, reinforces hierarchy, discourages honest discourse, and works against team cooperation and problem solving. Depending on the source, between six and 10 percent of Fortune 500 companies have eliminated employee rankings and traditional, annual performance reviews. The thinking is that with their stress on remuneration, punitive measures, and their year-end structure, annual performance reviews can be far too backward-looking and damage the individual and team momentum that is crucial to companies’ long-term survival. Many companies — even GE, the grandfather of performance reviews and ratings — has shifted to a less regimented model and is opting for more frequent feedback via an app for it’s 300,000 workers. Microsoft, Medtronic, Accenture, and Adobe have also done away with formal annual reviews and have adopted other feedback methods. As Lean and Agile project management become more common, the same types of flexible, continuous improvement processes are being used for more efficient performance management. Some companies have created a hybrid approach with more frequent communication but have maintained some form of rating system, like Deloitte. 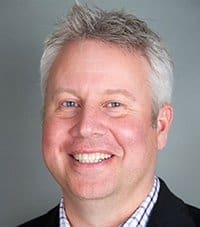 Mike Preston, Chief Talent Officer for the Deloitte U.S. Firms, is responsible for delivering on Deloitte’s value proposition to its 65,000+ professionals. Preston completely overhauled the performance review system at Deloitte. When Deloitte announced a redesign of its performance management system in the April 2015 issue of HBR, the new approach was being piloted by 10 percent (about 7,000) of its people. There are now 42,000+ people using the new system in Deloitte’s Advisory, Audit, Tax, and Federal Consulting practices and professional staff. If it were my money, would I award this person the highest possible compensation increase and bonus (five point scale). I would always want him or her on my team (five point scale). This person is at risk for low performance (yes or no). Based on what I know of this person’s performance, he/she is currently operating at the next level (yes or no). Transparency: Performance snapshot data is aggregated a few times annually into scatter plots that allow people to see how they compare with their peers. The scatterplot promotes trust, provides honest performance insight, fuels more transparent check-in conversations, and equips Deloitte professionals with data they need to become effective leaders on their projects and within Deloitte. Pulse Surveys: Leaders use a survey tool to measure the conditions on their teams that internal and external research indicate lead to high performance and engagement. The tool is an anonymous, 10 question survey that helps leaders see their teams through the eyes of the individuals, to better understand and shape the team environment. Compensation: Each of our four businesses is defining its own compensation approach that combines performance snapshot data, firm contributions, and leadership discretion to drive compensation and promotion decisions. Firm Contribution Snapshot: An additional data collection tool that – along with the performance snapshot – helps to create a complete view of all the ways our people contribute to Deloitte. The firm contribution snapshot measures how our people contribute beyond client work – through marketing, recruiting, etc. Deloitte is collecting data from the pilot populations and analyzing it over time to better understand how the elements of the new model link to better performance and engagement. Engagement is higher in the pilot populations and increases over time. Higher engagement maps to higher performance snapshot scores. Check-in conversations drive engagement; The more frequent, the better. 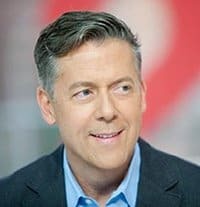 Take a look at these links to organizations, books, articles, and websites that provide techniques and the latest thinking about performance reviews and performance management — many of them are free. The key to writing a successful performance review is tracking employee accomplishments and noting challenges along the way. To do so effectively, you need a tool that allows you to update performance review tracking forms, attach documentation, and share your progress with relevant team members or managers. Many companies use Smartsheet to organize and automate many aspects of their business, so it’s an ideal solution for tracking an employee’s work progress throughout the year.